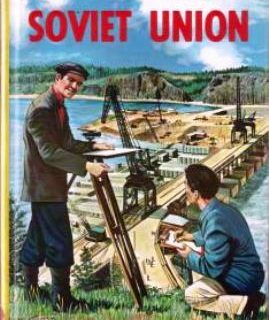 Completing our trifecta of red scare material, here is a great book describing how you too can survive the occupation of the Soviets. 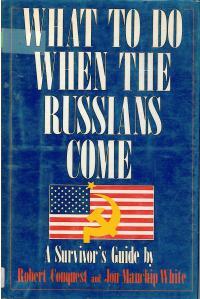 This particular book needs to be in an archive since it really does capture the hysteria of the cold war. (Did you notice one of the author’s name?) I wonder if these guys thought about a second edition after 1989? Previous Post:More fun with communists! I was born in 83 and I actually remember doing duck and cover practice at my original elementary school in Staten Island. I’m not sure if it was to protect us from the Soviets or the dump’s eventual, inevitable explosion. Really? In 83 in my school they were teaching us that robots were going to take over all our jobs and we would die in the coming ice age. By 85 they were blaming the robot thing on Regan. I do remember when communism fell in Russia they made us all go to a big assembly to explain it to us. I asked the guy “If it fell in Russia does that mean it’ll fall in China too?” He never gave me an answer. Instead he talked about how Russian leaders would hide out in China. I’ve been trying to find your blog, but the one I can locate is years old, so I’m going to write one last comment and hope ALB will be patient enough to let it appear. What I’m trying to do here is apologize for my bad behavior. First I don’t have any advanced degrees, just a plain old bachelors plus 45 hours. Second I haven’t read Kapital, although I have read the others. Third I am not up on the current preferred nomenclature for the various iterations of sexual preferences. Now the following are the things I’m not sorry about. I believe that behaviors have consequences. I believe that history can be a pretty accurate projector of what to expect in the future. I believe people need to know as much information as they can when they make a decision. I believe in God. I believe He loves us and wants us to be happy. I believe Jesus Christ died for us and that his atonement is infinite. I have historical as well as ancestral knowledge of communism and alternative marriage arrangements because I am a member of the Mormon Church and my ancestors practiced plural marriage and the united order. I believe a pure form of communism with righteous people and God at the head is the perfect form of government and democracy as written in the Constitution is the most perfect form of government that can be lived in this world. These beliefs form and inform my life and the lives of my husband and children and grandchildren. What I mean for you to understand is the following—You do not have to be “terrified” of me unless you are terrified of the truth of my beliefs. You can go ahead and tell anyone you want that you pwn me. It won’t change me and it won’t change you. My conscience is now clear and I can sleep at night, I hope the same for you and as “terrifying” as the following may be to you I will pray for your happiness. Maybe the authors wrote this right after seeing Red Dawn. Is this by the same Robert Conquest that wrote wonderful books about the Soviet Union? Yes, it is. Conquest was a serious author; I’m not sure what he’s getting up to here. Maybe he’s providing the real historical context to the other guy’s hysteria (show trials, yes; eating babies no). As soon as I saw this, I went to Barnes and Noble’s website and bought a copy from a reseller. For my personal collection! Not for a library! I promise! I wish I got that when it was being offered for sale (way back when). Robert Conquest is/was supposed to be a serious historian, so I was curious what he had to say. But I always thought you had Chuck Norris then to defend you. A lost opportunity. Why did I think of naming my son Manchip? What advice does it give? I HAVE THIS! Our university library had placed it in the “Free Books” section, and I thought it to hilarious to ignore. Never opened it, though. The cover is enough. 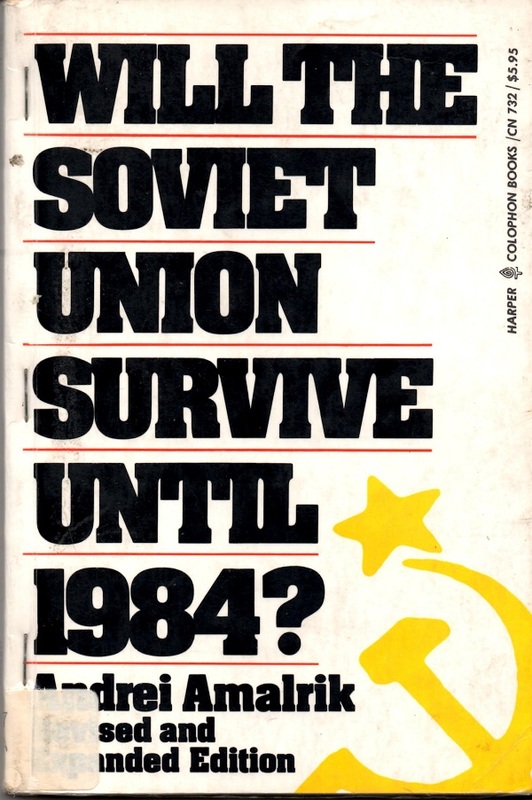 What made this book even more deliciously stupid after going on for several hundred pages about how men with long hair would have to get haircuts (… when the Russians come), it then has a chapter listing all the ways that the United States would win if we ever got in a war with the USSR, thereby defeating the ENTIRE PREMISE OF THE BOOK!